We are in San Francisco on a photo trip. Clear blue skies and 19°C yesterday, also clear views which was good. That’s warmer than Derbyshire in the summer! 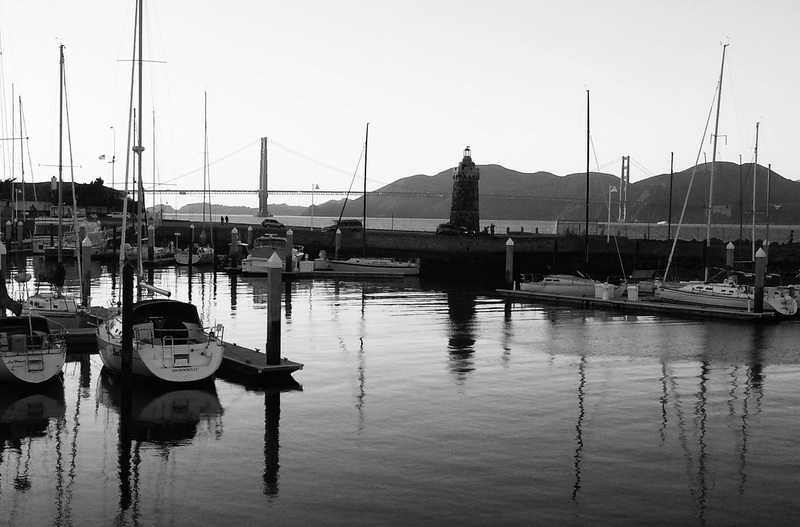 Took quite a few shots, all on Ilford FP4, around Fisherman’s Wharf and along to the Golden Gate Bridge. As usual I forgot to take much on my phone to illustrate this post but here are a couple, edited in Snapseed. 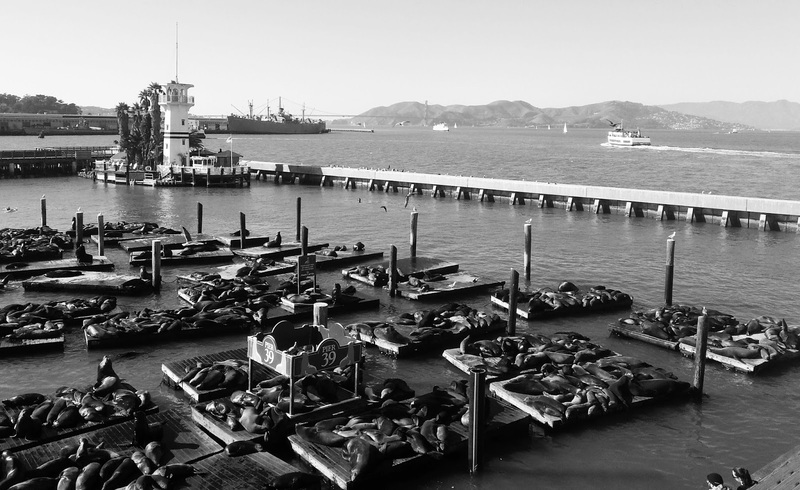 Sea Lions at Pier 39 and the bridge from one of the many marinas. On Saturday we fly to Denver for a few weeks with friends in Boulder, skiing and snowshoeing.